"IT could "save the world."" When I was studying computer science (informatique) in Paris in early 1990s, our teachers told us that IT could “save the world.” IT was expected to bring in social progress and improve people’s wellbeing and standard of living. Sadly, today, technology is not living up to this lofty goal. Rather than serving citizens, technology is now focused on serving…itself! Indeed, both companies and nations around the world are engaged in a “technology arms race” to out-innovate each other. In 2014 alone, the world’s largest companies are expected to spend a whopping $647 billion in R&D, to develop cutting-edge technologies that fail to have a meaningful socio-economic impact. Take the US, where medical device manufacturers introduce each year increasingly sophisticated CT scanners and MRI devices. Yet Americans are getting sicker year after year. Today 45% of the US population has at least one chronic disease, and this number is poised to increase to almost 50% by 2030. Similarly, US banks invest billions of dollars in year in IT to become more efficient, and yet nearly 70 million Americans—over one-fifth of the US population—are under banked or unbanked. The situation is no different in Europe. Companies in France—un grand pays d’ingénieurs—and Germany—Europe’s largest patent filer—invest massively in technology innovation, but the social and environmental impact of these R&D investments remains dubious. For instance, cramming more electronics into cars may make them “sexier” but it also makes them heavier, hence less fuel inefficient! And research at Cambridge University shows that most consumer electronics products sold in Europe are too complex to be used by people over 50, who will account for half of the European adult population by 2020. For many decades, Western companies have relied on a “more for more” business model that consists in investing billions in R&D and using tons of natural resources to develop increasingly complex and costly products. As a result, they keep chasing the Next Big (Technology) Thing with the belief that “bigger is better” (plus c’est sophistique mieux c’est). Unfortunately this resource-intensive business model and “blue-sky” innovation approach is now running out of gas for two reasons. First, middle-class consumers in US and Europe—with their diminishing purchasing power—can longer afford over-engineered and expensive products. Second, natural resources like oil, water, minerals, and wood are becoming costlier and scarce. A spinoff of University of California, Berkeley that makes an optical attachment that can convert a smartphone into an auriscope (known in the US as an otoscope). Parents can insert the device into their child’s ears, take photos of the interior and e-mail them to the family doctor, who can quickly spot any infection. 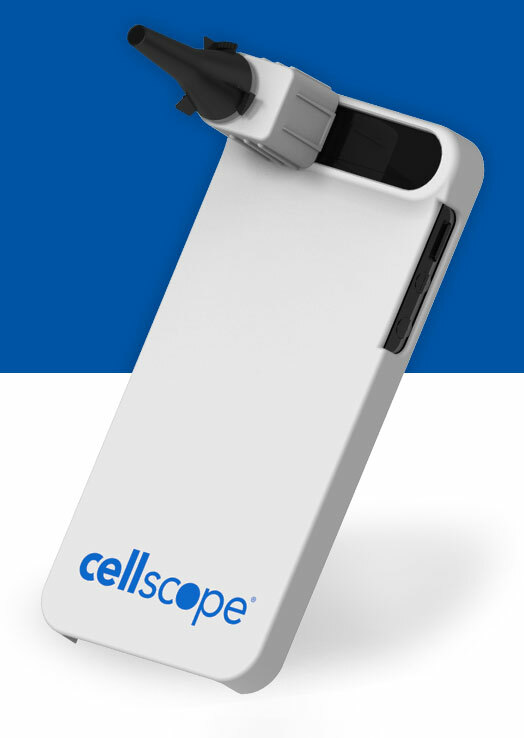 Another CellScope accessory converts a smartphone into a dermascope, to check skin conditions. Both attachments cost a fraction of the professional test devices used by physicians. Benoit, an engineer by training who quit his job in the financial sector to launch a start-up to “do good”, explains that the digital radiators act as mini supercomputers for one set of customers – offering them high-end computation services at low cost – while providing free heating for others, especially those who live in “logements sociaux”. A French startup that enables thousands of people without a bank account to get an international bank account number and an International debit card in just 5 minutes in a local mom-and-pop store (buralistes). The annual maintenance fee is just a flat 20 Euros. You can do all banking transactions like send/receive money via the Internet, receive SMS alerts, and pay anywhere in the world with your debit card—and all this at no additional charge. This is low-cost banking without a bank. Hughes Le Bret, co-founder of this startup, told me that 75% of people using this solution are middle-class French who can’t afford high banking fees! They already signed up 50,000 clients and intend to surpass 100,000 in Q1 2015. A Silicon Valley startup that makes wireless sensors designed like a plastic ruler that farmers can stick in different parts of their field and start collecting detailed data on things like soil conditions. This GPS-enabled dynamic data helps farmers optimize the use of water, energy, and fertilizer and increase output and product quality. This solution is easy to set up and pays for itself within one year. It’s a godsend for farmers in regions like California that face major water shortages. A French-American startup, co-founded by Albert Szulman and Yazid Chir, that has created a mobile app that connects you to the Internet even in low-bandwidth areas without 3G, 4G, or Wi-Fi. The trick is Be-Bound is based on SMS, a basic technology but one that is very reliable and widely available around the world. 3 billion mobile users today don’t have Internet access. Be-Bound can get them connected in a frugal way. These pioneering entrepreneurs harness the power of technology to create affordable and meaningful solutions that deliver greater economic and social value to more citizens while preserving our environment. Large Western companies must learn from these frugal innovators how to do “better with less” by leveraging technology wisely. This article has been published in French in the extra content of Les Echos "La Relève French Touch" the December 8th 2014.